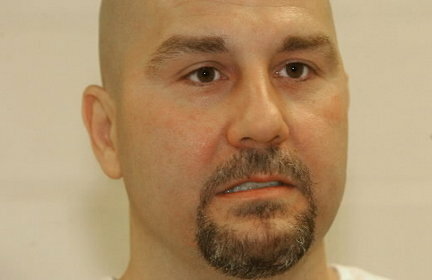 On March 3, a federal District Court barred the re-prosecution of former Ohio death row inmate Joe D'Ambrosio (pictured) for the murder of Tony Klann over 22 years ago. The court had ruled in 2006 that state prosecutors improperly withheld evidence about their star witness that could have exonerated D'Ambrosio at his 1989 trial. That ruling led to D'Ambrosio's conviction and death sentence being vacated, and he was eventually released on bond pending a possible retrial. But the state delayed reprosecuting him and did not tell the court that its primary witness, their only eyewitness to the murder, had died. The court concluded that these developments biased D'Ambrosio's chances for a fair trial, and hence the state was barred from retrying him. The state may appeal this decision. Judge Kate O'Malley wrote in the court decision, "If any case properly should be described as extraordinary, it is this one. For 20 years, the State held D'Ambrosio on death row, despite wrongfully withholding evidence that 'would have substantially increased a reasonable juror's doubt of D'Ambrosio's guilt.'" She noted that the state "showed startling indifference to D'Ambrosio's rights." A co-defendant, Michael Keenan, was also convicted and sentenced to death and maintains his innocence. The state's star witness, Edward Espinoza, pleaded guilty to the murder in exchange for a reduced charge and was eventually released. (P. Krouse, "Judge bars re-prosecution of Joe D'Ambrosio, slams prosecutors," The Plain Dealer, March 3, 2010). See also Innocence and Arbitrariness. Because of pending appeals, D'Ambrosio has not been added to DPIC's list of exonerations, which currently numbers 139. Five death row inmates have been exonerated in Ohio since 1973.